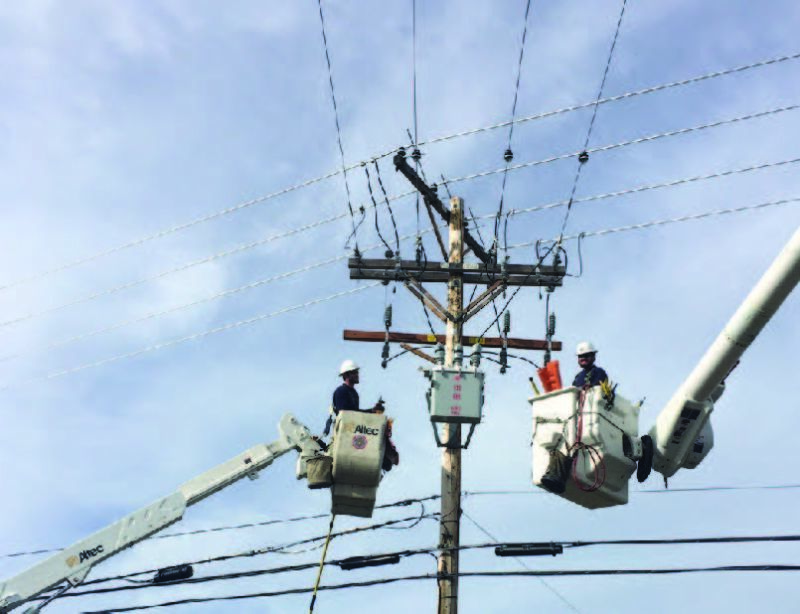 Lineworker appreciation day is April 8. So during the month of April, if you see a lineworker, please pause to say thank you to the power behind your power. Let them know you appreciate the hard work they do to keep the lights on, regardless of the conditions. PSREC journeyman linemen Jon Pilatti and Chaz Riggs perform maintenance on lines. 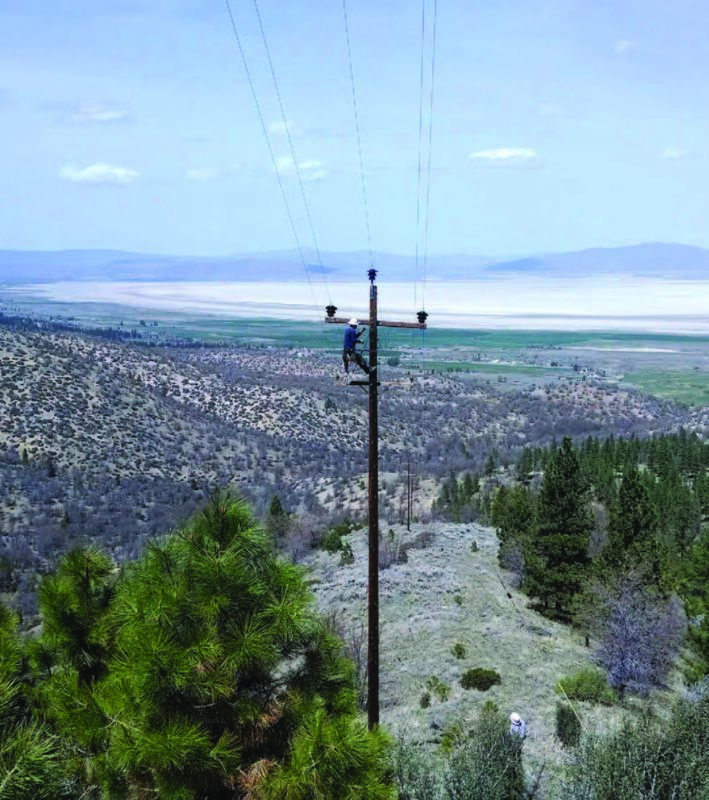 Journeyman Lineman Stephen Dollof performs maintenance on a crossarm. 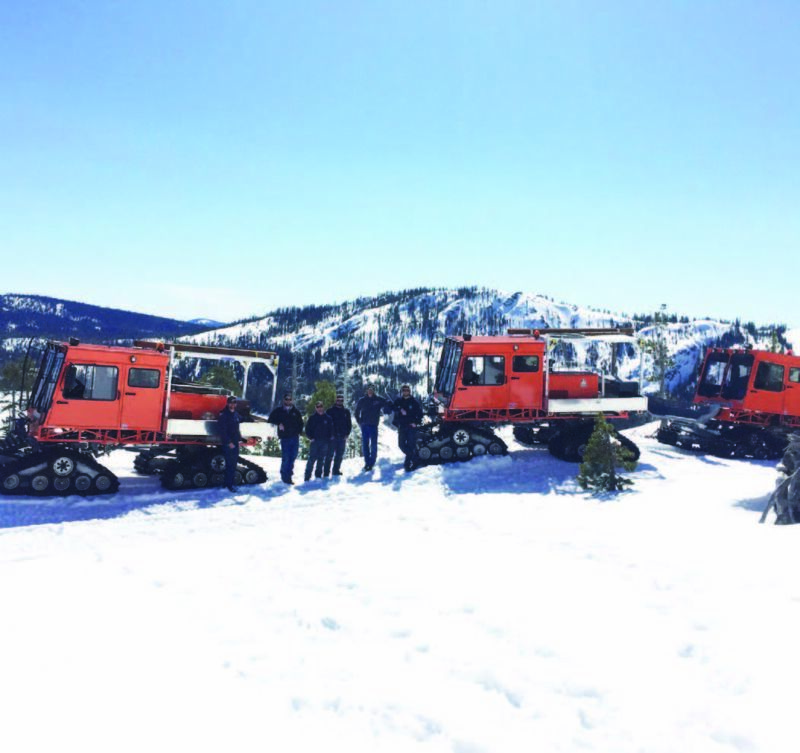 Tucker Sno-Cat trains PSREC crew members. From left, Journeyman Lineman Steven Doloff, North-end Troubleman Fred Sommerville, Journeyman Lineman Rob Azevedo, Journeyman Lineman Chaz Riggs, Tucker Sno-Cat Representative Jeff Godard, and Journeyman Lineman Jon Pilatti.